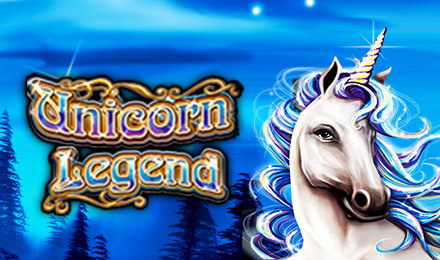 Unicorn Legend Slots will take you on a magical journey! There are 5 reels that are full of mystical symbols, and 25 paylines. There's an exclusive gamble feature and loads of FREE spins. Good luck! Play Unicorn Legend Slots for a truly enchanting online gaming experience. The reels are filled with owls, flowers, enchanted castles, and of course, magical unicorns. Your FREE spins will be activated when you spin 3 or more scattered Emblem symbols. There's also a gamble feature, which can be turned on for normal wins and during your free spins bonus round. You can gamble your wins if you're feeling lucky for your chance to really win big! Get ready for a truly mystical online. All you have to do is spin to win!